Who in their right mind would want to go and pick weeds from parkland and make them into dinner? I’m too scared to forage anything much – mushrooms, too terrifying, and for everything else that isn’t obviously a plum, you need to study a handbook and I would worry that it’d be deadly hemlock anyway! Even though I once did a one-day’s foraging course with an eccentric fellow called Fergus a few years back (a day involving explosions, anecdotes about mushroom hallucinations and eating very strange lager-based custard) this did in fact make me LESS confident to forage on my own, simply giving me more awareness of what could kill me. 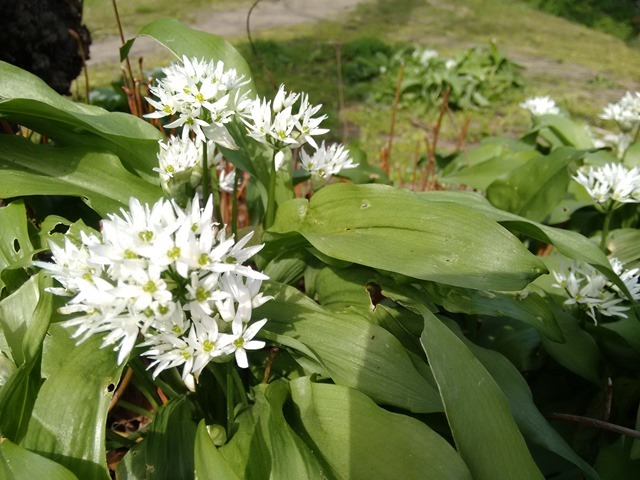 However, there is one exception: wild garlic, or ‘ramps’ as they say in the US. 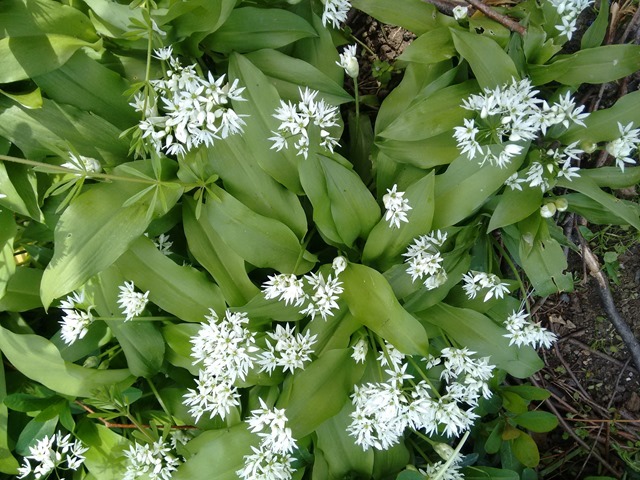 It’s easy to spot, has an unmistakeable garlicky smell when you crush the leaves and is growing in parkland and woodland right now all over the UK. Chefs go crazy for the stuff. So how did I find this lot? 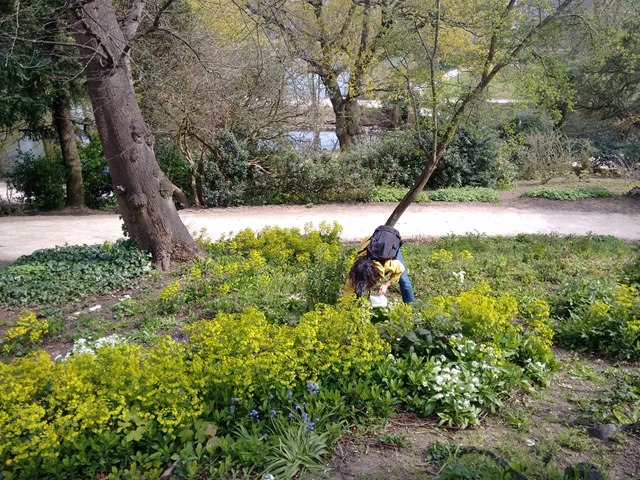 My friend C was given a tip-off by her chef pal, who told us to go hunting on the hillock near the dinosaur lake in Crystal Palace Park in SE London. We found a few clumps of the stuff growing abundantly. I kept expecting some passer by to start shouting ‘OI!’ to get us to stop, but as it grows wild, it’s really fine to pick in small quantities. No-one batted an eyelid anyway. I stuffed a small carrier bag (well, it was a nappy bag) full of leaves and flowers, and when I got home I gave them a good wash to remove any possible traces of dog wee and grit. Then I whizzed it all up and made pesto. Wild garlic has a grassy, mild, green garlic flavour that goes well with Parmesan and olive oil. You can also wilt it into scrambled eggs and omelettes, use it in stir-fries, or give a mild garlic note to soups. 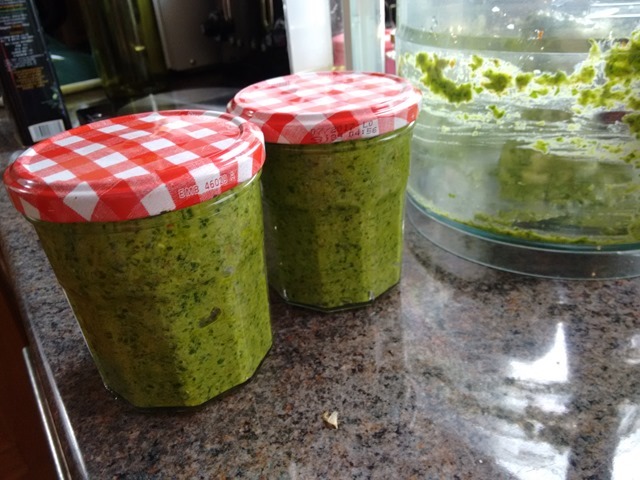 I had a lot of wild garlic, just scale the recipe down as you need. 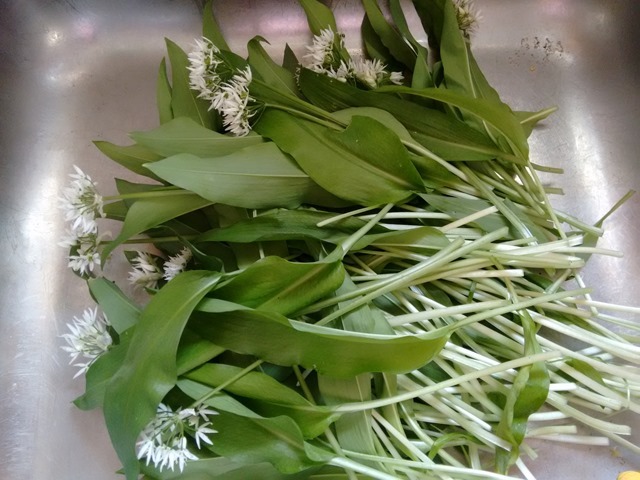 Rinse the wild garlic leaves and flowers a few times in cold water to clean them. Drain, then chop up roughly – you can use leaves, flowers and stems. Blitz the nuts and cheese in the food processor for a few blasts until you have rough crumbs. Add the chopped wild garlic and pulse a few times. Then add the oil, salt and pepper. Blitz until you reach the desired smoothness. Store in the fridge in glass jars. 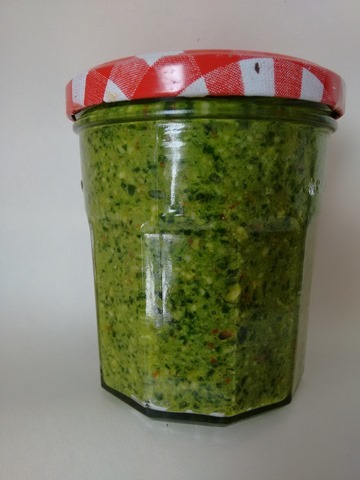 To ensure the air doesn’t taint the pesto, pour a few millimetres of olive oil on top of the sauce to create a seal, before you put the lid on. Eat within one week. You could always freeze the sauce for a month or so in a plastic container. 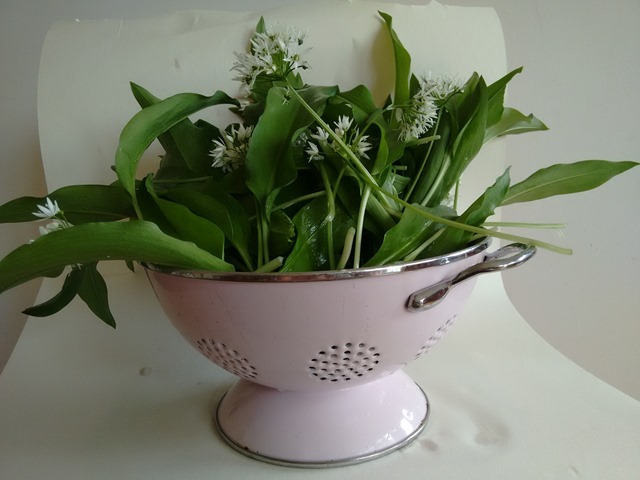 Wild garlic is around right now – and probably only for the next couple of weeks – so feel the fear and pick it anyway!